– You can buy your home, live in it for decades, raise your family, and end up with a piece of real estate that has greatly appreciated in value over the years. And during those years when its value is increasing, you’re busy enjoying your life. When the time is right, if you want, you can cash in on that value. – In the second approach, you purchase a property that needs a little work. You fix it up and sell it as quickly as you can for a profit. With real estate – and certainly with Los Angeles, Orange County, San Francisco and California property in general – buying to live in and buying to “flip” are both strategies that have worked well for hard working individuals and families. Further, while they take different kinds of properties and require different skills and situations for the folks involved, they both start with a purchase. And sometimes that can be the most difficult step. If you have found yourself running into dead ends while trying to get a loan to purchase the right property for your plans, Evoque Lending can probably help you out. We see prospective borrowers every day who have an excellent property in their sights, but because of some old credit history, are unable to secure a bank loan. However, we’ve never met a credit report yet that makes mortgage payments – it’s the borrower who has to have the means to meet his or her monthly obligations. And frankly, credit reports often don’t reflect the ability of many prospective homebuyers to make their monthly payments. We understand that at Evoque Lending. That’s why we don’t base our judgment on that credit report number. We look at the complete picture and the most important details in that picture are the value of the property and the borrower’s ability to make payments. 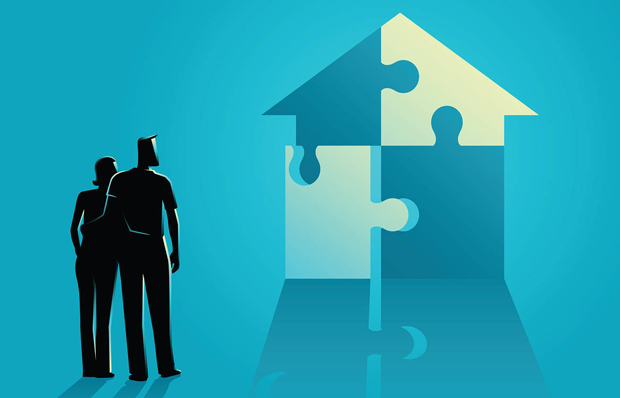 When those two pieces of the puzzle are in place, we can generally put together a First Trust Deed that will make the purchase happen and fits the borrower’s situation very well. Also, with our 15-plus years of experience, we know that time is very important for our clients. When they come to us, they have often spent too many weeks (or months!) dealing with a bank or conventional lender and they need to move quickly or they risk losing the property they hope to buy. That’s why we do virtually everything in-house and have developed a system that can give our clients the answer they want in 24 hours and funds their loans in seven to 10 days. Our commitment to our clients and desire to meet their needs is why we have many repeat customers. If anything I’ve said here sounds like your situation, please take a few minutes to call us or outline your situation in an email. We can get the process going and finally give you the resolution you’ve been looking for. This entry was posted in borrow money, General, Invest Money, Lending, Submit Loan and tagged California hard money lender, California real estate, hard money loans, home loan, investing, mortgage broker, real estate. Bookmark the permalink.